How To Live The Life You Want According To 5 Zen Masters - Motivate Amaze Be GREAT: The Motivation and Inspiration for Self-Improvement you need! You’ve gone through the steps. You’ve got a decent job, respectable living, and a social life worth mentioning. You’ve even cut down your debt to a manageable sum that you can pay off within a year. But that’s not it, is it? That’s not all it takes to be happy with the life you’ve created. You’re living the life you think you should be but you still aren’t living the life you want. We’ve all been there. Millions of us have, in fact. One in six Americans is on an antidepressant and many others are self-medicating with alcohol addiction. Even with our best intentions, we somehow can’t crack the code to live the life we want. Well, I’m here to tell you that you can live the life you want right now. In your current life, whether you’ve ticked all of the boxes or not, you can feel fulfilled and happy with exactly where you’re at. It all starts with your perspective. I’ve rounded up five quotes from Zen masters who can teach us how to live the life we want right now, exactly as we are. I get it, rush hour blows and crowded grocery stores are impossibly draining. But don’t let that get in the way of being immensely grateful for where you’re at. In moments when you’re struggling to feel satisfied with your life, do a quick assessment. Ask yourself what is lacking (and don’t respond with a cheeky pessimistic quip). Be honest with yourself. What is really lacking? You’ve got your health, your mind, your loved ones. What else is there, anyway? Maybe your job is stressful and maybe you are struggling to make ends meet. But these are just the steps required to fit into this modern life. If we remove the stress that modern living places on us and look at Life with a capital L, we have everything we need to enjoy it. When things get especially tough, it’s easy to get upset and believe that the world is conspiring against us. But if things continue to go this way, why not shift your perspective a bit? Think about what you are meant to be learning in this tough time. Think about the ways in which you can grow, learn, and improve. Rather than loathing the rough patches, welcome them as teachers that will help you turn into a totally adaptable and strong person in spite of it all. Think about every plan you’ve ever made and think about how many of them went exactly as you had imagined they would. For many, this can seem overwhelming. But if you begin to look around and realize that nothing is under control and nothing goes according to plan, you can begin to feel a sense of freedom. Now that you know that nothing is under control, ever, why not let go of the desire to control? Let things happen as they do and enjoy the ride! This simple advice that Buddha gives us reminds us to be humble. No matter where you’re at in life, whether you’ve reached your goals or you’re working tirelessly to get there, continue to put in the work. Nobody is too good for the work and nobody is ever done with it. As you work towards living the life you want, no matter how much effort you’ve already put in or how far you’ve come, continue to do the work. This in and of itself is a part of it. One day, you’ll look around and realize that you are exactly where you need to be. Somehow, our modern society has become obsessed with the pursuit of happiness. Maybe it’s Will Smith’s blockbuster film or Kid Cudi’s hit song that put it into our minds, but it could also be that a lot of us are just downright unhappy. But do we ever stop and wonder why? We are constantly seeking the next thing, the next gadget, the next title to the detriment of our ability to enjoy exactly where we are at, right now. 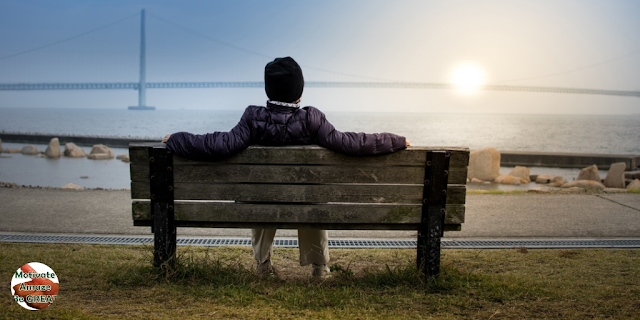 Maybe you aren’t at the pinnacle of your career or life, but that doesn’t mean that there isn’t room to enjoy the life that you are currently living. 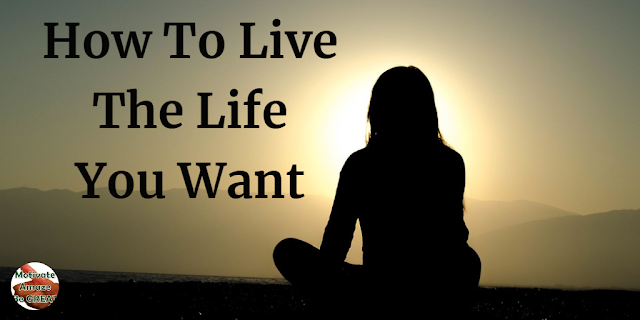 We hope you've enjoyed this reading and now you're ready to live the life you want. Kathleen Roberts is passionate about living a sober life and living life to the fullest. She writes at Detoxes.net to help people in their sobriety journey.